Ola! As usual I am running late on this post and a rl appointment lol, such is life I suppose 😉 Baiastice is part of today’s 21 Shoe event and Sissy has these fabulous Denim Blue versions of the mesh Avani High Boots and the mesh Ellen Ankle Boots. 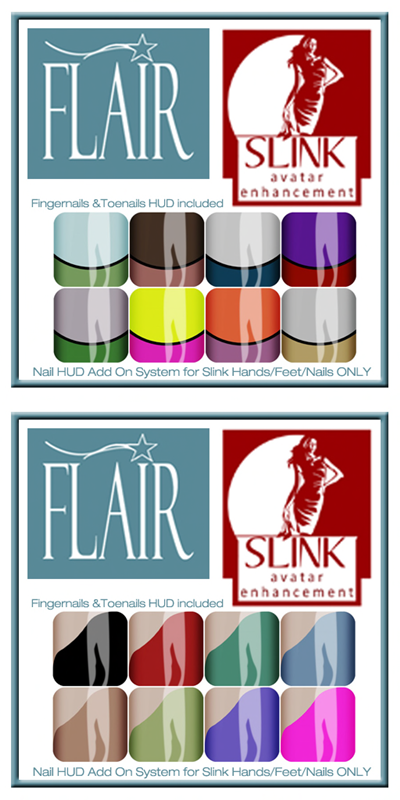 These are out for today only and are a fabulous 2 for 1 deal…..so hurry before they are gone gone gone! New fun mesh Gloster Style out for My Attic at the Deck from Tableau Vivant, and of course brand new nails from Flair, which I love and cannot ever get enough of! These are also a 2 for 1 dealio and only 95L a pop for both sets! Oh and make sure to grab this purfect Miau Bag from Pure Poison while you are there as well! I am wearing the new 80’s Glam duo Monocle from Sax Shepherd Designs, this I love and certainly does remind me of someone I know lol. Oh and Lacuna has the too cute for words mesh Montmartre Mini Skirt out for Serafilms Moulin Rouge in wonderful assorted colors! Boots: Baiastice ~ Mesh Avani High Boots in Denim Blue w/Hud & Mesh Ellen Ankle Boots in Denim Blue New ❤ Both Avail for 21 Shoe until Midnight tonight! Posted in AnotherDamnSlBlog, iheartslFeed and tagged as 21 Shoe Event, Baiastice, Connors, Flair, Glam Affair, Ikon, Lacuna, Maitreya, Maxi Gossamer, Moulin Rouge Serafilms, My Attic at the Deck, NanTra, Pure Poison, Sax Shepherd Designs, SLink, Tableau Vivant.